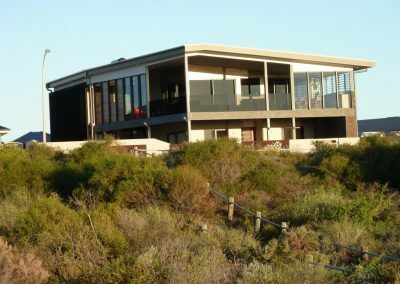 This residential home is located in Geraldton, the mid-west region of Western Australia, 424 kilometres north of Perth. Positioned right on the water’s edge, the home has been designed to take in the beautiful environment that Mother Nature has to offer. This project adopts passive design principles to make the most of its natural surroundings in order to reduce the running costs of the home. To this effect, Altair Louvre Windows by Breezway have been installed as an energy efficient window option to capture refreshing coastal breezes and natural light so the need for electrical devices such as power hungry air conditioning and electrical lighting are significantly reduced. 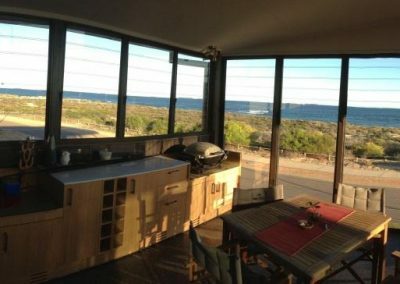 Not only do the Altair Louvre Windows provide fresh air to maintain a healthy, relaxing and comfortable living environment for all occupants, but they also provide these non-obstructed, breath-taking views of the ocean for the family to enjoy all day long. When closed, they seal tight to provide high resistance to wind and water which is important when the home is positioned so close to the coastline. 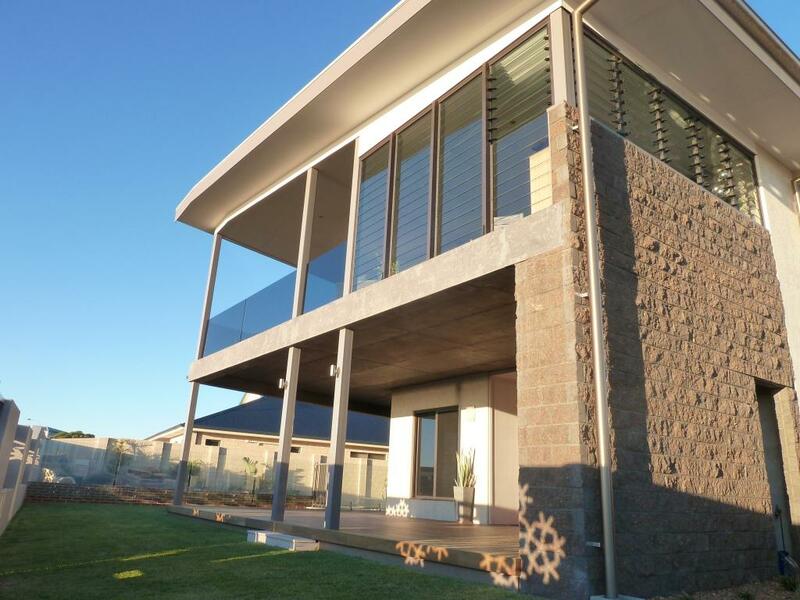 Altair Louvre Windows with the Stronghold System have been used with glazed louvre glass blades for optimising views while maintaining strength and safety for the entertaining (half enclosed) areas on the second level of the building. Standard Altair Louvres have also been used with timber blades to help block out the sun and provide privacy when required.